Click here to access the library card catalogue. The Connelly Library, named for a generous gift from the Connelly Foundation, was designed as an “information commons”—a flexible and functional simultaneous-use facility where students, faculty, and staff can gather and collaborate within the context of academic research, using the latest tools for information retrieval, storage, and presentation. The library’s 5,000-square-foot main room contains comfortable seating areas, tables to accommodate classes and student research, a large circulation desk, and stacks filled with over 7,500 volumes. Courtesy of grants from the Hamilton Family Foundation and the Benedict Foundation for Independent Schools, a library classroom with a Smart Board is available for class use. Additional spaces house four group study rooms, the Writing Center and the Technology Center. 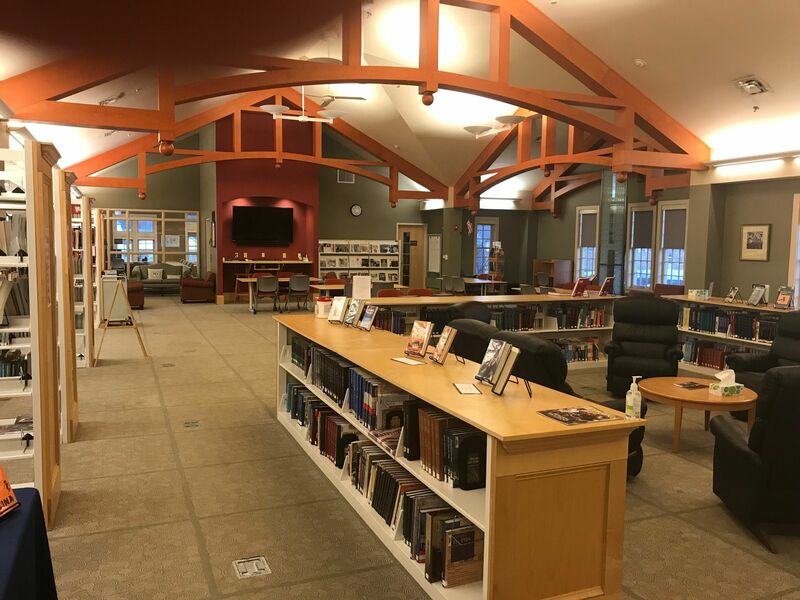 The Connelly Library is located on the second floor of the Harron Family Building and is open Monday through Thursday from 7:30 a.m. to 5:00 p.m. and on Friday from 7:30 a.m. to 3:00 p.m. The Connelly Library contains a classroom with a Smart Board for student research classes. Students and faculty have the use of a copier, a black and white printer, and a color printer. Students have 24/7 access to our subscription databases and eBooks located on the library webpage. Students may check out books for a period of two weeks.